2013’s No Blues was in many ways Los Campesinos! most melodic album. Not necessarily my favorite from the Welsh indie rock band, but it had enough good songs (like “What Death Leaves Behind” that made our favorite songs of 2013 list) to reward many revisits in the six months since its release. Before No Blues the band recorded music for Benny & Jolene, a movie starring Craig Roberts and Charlotte Ritchie set to premiere shortly. 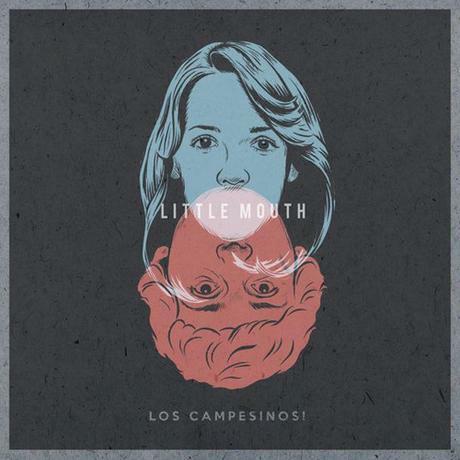 “Little Mouth”, the first (and perhaps only) teaser from this project, is surprisingly low-key coming from Los Campesinos!, but its irresistibly charming harmonies makes it one of the endearing and mellow songs I’ve ever heard from the band.